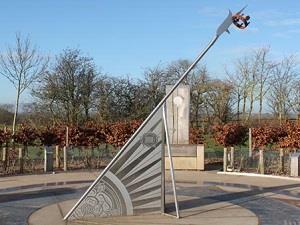 Bosworth Battlefield Heritage Centre01455 290429workGroup VisitsThe Heritage Centre gives an interpretation of the Battle of Bosworth giving a complete insight into medieval times; film theatre, book and gift shop, information point. The Heritage Centre gives an interpretation of the Battle of Bosworth giving a complete insight into medieval times; film theatre, book and gift shop, information point. One of the Midlands premier historical sites, Bosworth Battlefield witnessed the death of a King and saw the end of the 30 year power struggle for the throne of England. Was King Richard III, who lost his life and crown at Bosworth, a noble warrior or murdering crookback who ordered the death of the Princes in the Tower? And who was Henry Tudor whose success at Bosworth gave birth to the powerful Tudor dynasty bringing two of our most famous monarchs, Henry VIII and Elizabeth I to the throne?